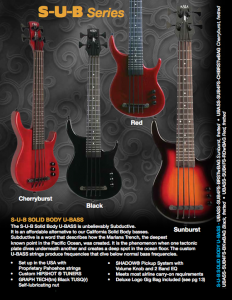 What types of UBass are available? 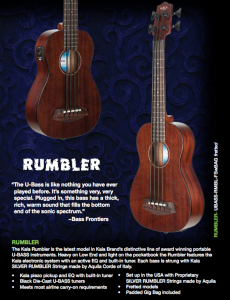 The UBass has only been available for a few years since Kala first developed them. Since then, many varieties have come on the market as well as some notable copies by other suppliers. Note that most models are available fretted and fretless. 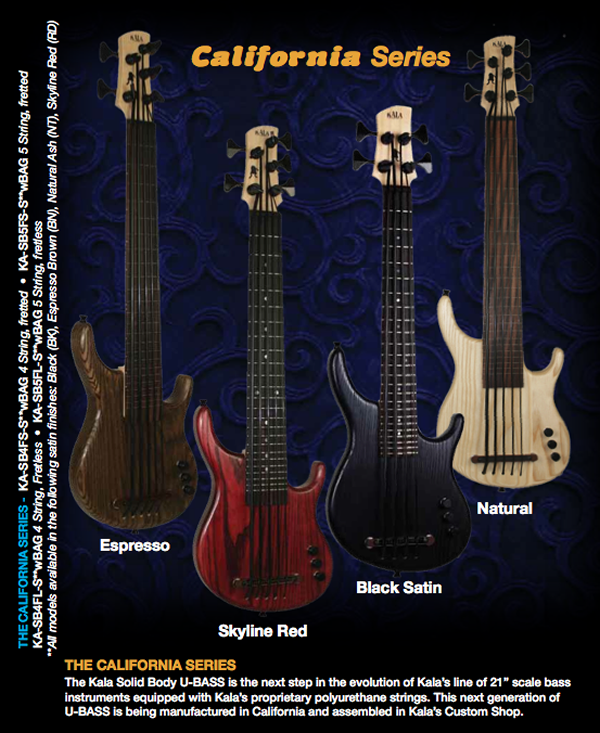 There are also 5 string models available. Other types you might find second hand. This is the original U-Bass that came on the market a few years ago. 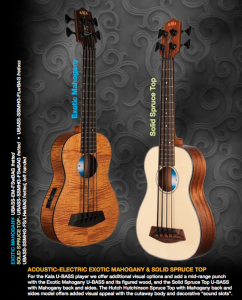 The crucial points are that it has a passive pickup system with no on board controls that are present in the later models (see Acoustic-Electric models below). 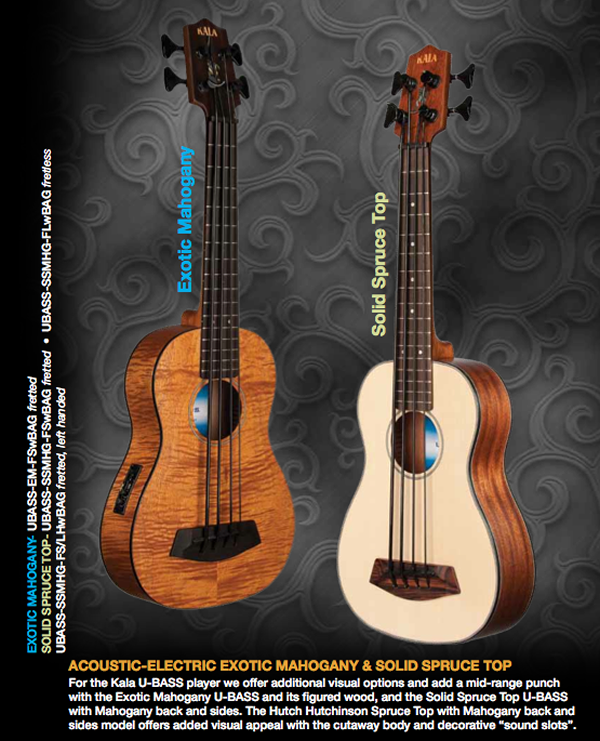 They came in the Spruce version and the more expensive and sexier looking Mahogany model. 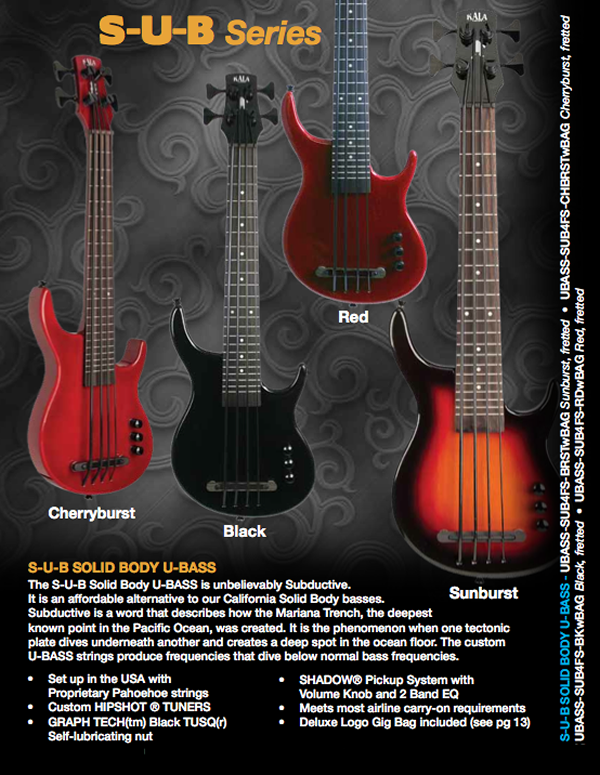 The SUB U-Bass is compact looking solid bodied version of the U-bass with an active pickup and basic controls (volume and eq). These are the high end (and more expensive) solid body models built in the US by Kala. Hence the name "California". 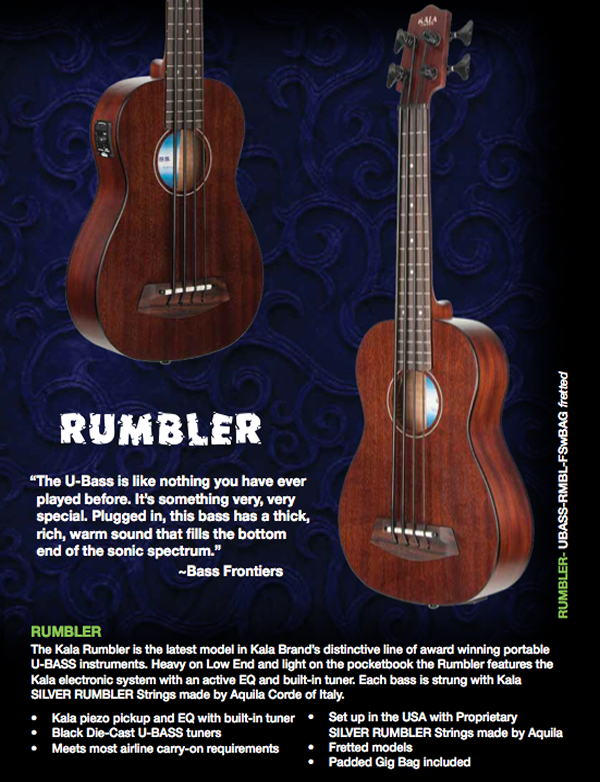 Though I've never seen one in person I would presume they are better made than the mass produced SUB U-Basses. 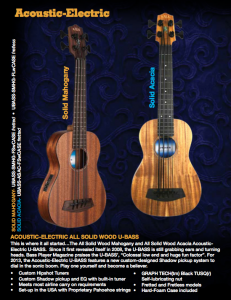 You can spot the difference if you notice the headstock is made with a wood finish and the body is stained solid wood (with the visible wood grain) as apposed to the SUB model which is based on chipboard and covered in a hard plastic coating. Beware, I've seen occasional SUB models mis-labelled as California models. I haven't seen a proper California model from a UK supplier yet. 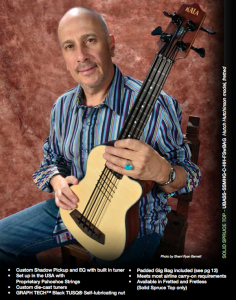 Ubass.co.uk is a participant in the Amazon Services LLC Associates Program, an affiliate advertising program designed to provide a means for sites to earn advertising fees by advertising and linking to Amazon.com, Amazon.co.uk, Amazon.it, Amazon.de and other Amazon stores worldwide. Ut in purus faucibus, vestibulum libero id, facilisis nunc. Sed dapibus cursus erat ac sodales.